It will be a campaign brimming with sub-plots. New talent will emerge, reputations will need to be restored and everyone will need to put on a show as the 15-a-side game fights for attention in an Olympic year. 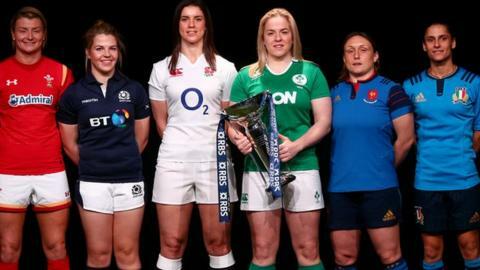 With the gaps between teams ever decreasing, this year's Women's Six Nations is expected to be the most open we have seen. Defending champions Ireland will fight to retain their title, although France and England will severely test their grit. Last season the Red Roses faltered, with the world champions finishing fourth, and the combination of retirements and a number of their players focusing on the Sevens for Rio 2016 means they will have much to prove. But it is not only England who must adjust and discover new talent, because most nations have withdrawn their Sevens players to focus on this summer's Olympics. Amid such uncertainty, who will prevail? The world champions failed to live up to their billing in 2015 as fourth place was their worst Six Nations performance. The squad should have settled under new head coach Scott Bemand and expectation will be for them to return as title contenders. Captain's view: "Obviously fourth is not where we set our standards, especially on the back of 2014 and winning the World Cup. We feel comfortable that we can push on as a team and improve our performance," says Hunter. France slipped up in 2015 away against Italy and it cost them the title. This is meant as no disrespect to the Italians but it was a match the French should have won and it's a result that probably still gives them nightmares. The fixtures have fallen kindly for them this year and they will be loath to make the same mistake again. Captain's view: "The climate in our group is one of determination," says Mignot. "The desire to work is tremendous. Our objective is to take it game by game, but overall we want to do better than last year." With away matches in France and England, the fixture list doesn't work in Ireland's favour, but if they can find form away from home the title is theirs for the keeping. Captain's view: "It's an enviable position to be in, every team wants to be reigning Champions," says Briggs. "How we react to that pressure is a massive thing for us. There's a huge amount of new faces in the squad and we're really looking forward to it." The added ingredient to this year's tournament is that Wales, Italy and Scotland have yet to qualify for the 2017 World Cup. The highest finisher will make it to Ireland next year. It's do or die. Italy's third-place finish last season flattered the squad, so this campaign will be about proving that last year was no fluke. Italy are here to break into the top three once again - and to break Welsh and Scottish hearts. Captain's view: "Lets hope we can do it again [finish third]," says Barattin. "For us, Wales and Scotland there is no hiding that the main objective is to qualify for the World Cup." It is no secret that Scottish women's rugby has been in the doldrums for the past six years. However, there's light at the end of the tunnel as new coach Shade Munro led the side to a confidence-boosting victory away to Spain in November. While a top-three finish will probably be some seasons away, the Scots will be gunning for their first Six Nations win since 2010. Captain's view: "It's fantastic having a full-time head coach to solely work with the women," says Martin. "There's a lot more confidence in the squad, we never really had much belief before. We are turning the corner." After beating World Champions England on the opening day of the 2014 tournament, Wales could only muster one other victory in 2015 as they faltered under increasing pressure. Unsurprisingly, the squad are keen to avoid the same fate again and the Welsh need to finish higher than Scotland and Italy to secure qualification for the 2017 World Cup. Captain's view: "It's massively important [World Cup qualification], you can't shy away from it," said Taylor. "The pressure might be off some other countries in the Six Nations but for us qualification is the bare minimum we want from this tournament."